Ireland will do well under any Brexit outcome according to Liberty Global CEO Mike Fries. Since being acquired by Liberty Global in 2015, TV3 has moved from a loss-making position to one where it is now strongly profitable. 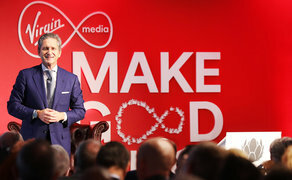 Liberty Global is the world’s largest international TV and broadband company, with operations in 11 European countries under the consumer brands Virgin Media, Unitymedia, Telenet and UPC.